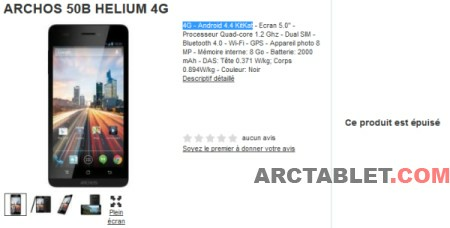 At the same time, new ARCHOS 45b and 50b Helium models are getting listed on cdiscount.com French online store, both phones are shown without a price tag and are currently out of stock. 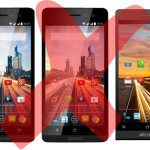 (cdiscount product pages: ARCHOS 45b Helium, ARCHOS 50b Helium). A quick look at the phones specifications show similar characteristics between the b and the original models, one major difference being the operating system version with Android 4.4 KitKat on the b models. In term of hardware, as specification lists the same type of display and screen resolution, QUALCOMM MSM8926 (Snapdragon 400) CPU is identical, camera and battery. We can also find exact same phone size, weight and SAR/DAS values. Is that some kind of planned obsolescence where you need to buy another phone (with the same hardware ?) 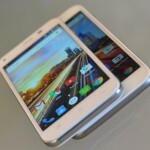 to upgrade to a new Android version ? or does the b model really add something new ? Update: here is a small correction as it seems that I actually missed the dual-sim feature in the b models specifications while writing this article. 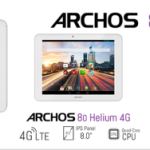 ARCHOS 80 Helium, an 8 inches 4G Android tablet coming real soon under €200 ? I missed that one, I’ve just added it in the article update.